Great for virtual instruments. The modulation wheel helps make strings, etc sound real. I bought one from M-audio about 10 years ago for more money and this one blows it away. 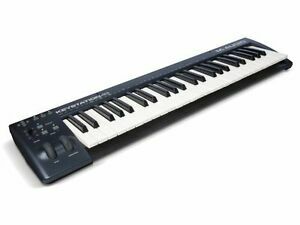 Low cost, no-frills, MIDI Controller Keyboard, 49-full size keys (not mini) with great 'feel'. Replaced my Akai MPK249 with this at 1/4th the Cost!